I had forgotten all about Charlie by the time the darkness started closing in. We had been friends as kids. I liked to make him laugh. Once, hanging out in the biology lab after school, I borrowed the bow from Charlie’s violin and used it to play a hand saw — a weird vibrating music like something from a synthesizer or a theremin. One time, he explained to me how he’d taken a household clock apart, gear by gear. Eventually, Charlie went off to Brown, and I headed to Wesleyan. While we were at college, his family moved away, and we lost touch. By the time I arrived in my 50s, I was living in Maine, teaching at Colby College. I was, by some measures, doing just fine. But sadness crept up on me now and again, especially as I got older. For a naturally gregarious person, I found it hard to talk to people sometimes. I had the feeling that the universe I lived in was getting smaller, and darker. I’m describing my emotional state, but I’m also talking about my actual experience of looking at the world. Everything seemed draped in shadows. During a routine check-up with my optometrist, my doctor asked me if my cataracts were bothering me. Indeed, I had an early onset case of cataracts, a build-up of protein in my eyes that was keeping the light from getting in. I remember a sense of shock when I was diagnosed. I’m not crazy! I thought. The world really was getting darker. So I called up an Eye Centre in Portland and made an appointment. Which is where I met my doctor, Charles Zacks. A few weeks later, an anaesthesiologist was administering Versed, a drug nicknamed the “twilight sleep.” I am told that while I was out, I asked Charlie if he wanted me to say the names of the presidents backward, and I did, only to pass out around Lyndon Johnson. Then, 10 minutes later, I woke again, and picked up right where I had left off. This went on — the waking up, and nodding off again — for a half-hour. Buchanan, Pierce, Fillmore, Taylor, Polk. 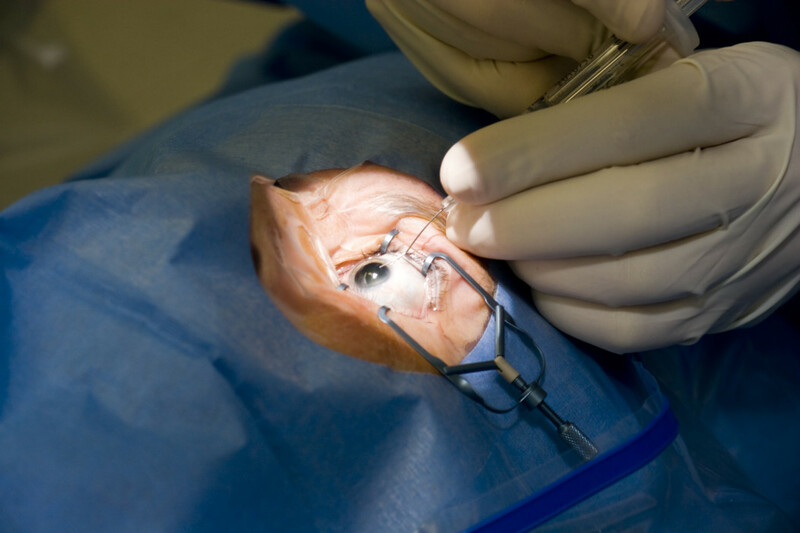 In 2015, millions of cataract procedures were performed in the world. For those who get the surgery, the restoration of sight is miracle enough. But just as important, if not more, is restoring a sense of well-being. Studies show a strong correlation between cataracts and depression, especially in older adults. As I drove home from the Maine Eye Centre — without glasses — I remembered playing Over the Rainbow on the musical saw for Charlie when we were kids. It was a good tune, but it wasn’t the one I’d have played for him now, if I had a saw, and he lent me his bow. I’d have played him I Can See Clearly Now, the Johnny Nash song. It had been a big hit, back when we were young. Gone are the dark clouds that had me blind. The world shone all around me. I saw no shadows.